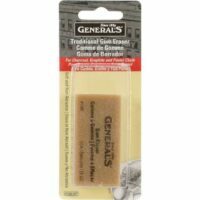 General Pencil teiknivörur Gum Eraser 395 kr. 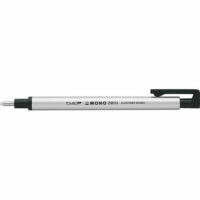 MontMarte Hnoðleður 2 stk 295 kr. 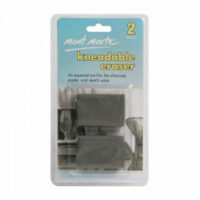 Áhöld og tól Mono Eraser Refill Round 2,3 mm 495 kr. Strokleður Pink Pearl Strokleður 350 kr. 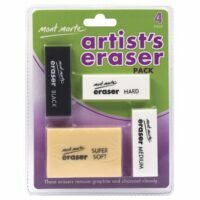 MontMarte Strokleður – Artists Eraser Pack 4 pcs 595 kr. 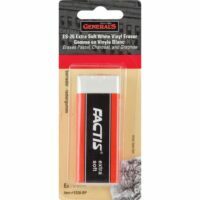 Strokleður Strokleður – Tri Tip Eraser 395 kr. 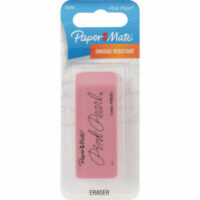 Tri-Tip Eraser This soft, triangular shaped eraser is perfect for detailed erasing and highlighting on pastel, charcoal and graphite. 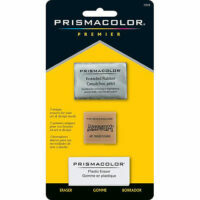 It s non- abrasive, making it ideal for fine papers. 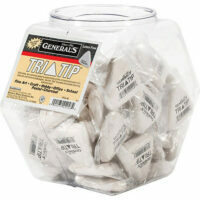 General Pencil teiknivörur White Vynil Eraser 285 kr.